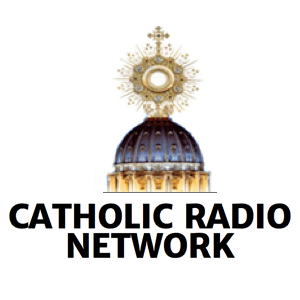 Catholic Radio Network is adding a third signal in Kansas City as Mortenson Broadcasting sells Silent 890 KGGN Gladstone, MO for $10 with the remainder of the fair market value of the station being considered a charitable donation. The 960 watt daytimer will join Catholic 1090 KEXS Excelsior Springs and Spanish Catholic 1190 KDMR Kansas City. Sheila Callahan & Friends, Inc. is swapping Silent 107.7 KMTZ Three Forks/Bozeman, MT to JLD Media for 104.1 K281BK Missoula. Callahan, which operates as Mountain Broadcasting will rebroadcast an HD subchannel of 102.5 KMSO Missoula on K281BK. JLD Media is operated by Kevin Terry, who also owns stations in Helena and Great Falls as Montana Radio Company. River Radio Ministries is transferring Christian AC “104.9 The River” WCVO Gahanna/Columbus, OH to One Connection Media Group in a pro-forma transaction. One Connection is wholly owned by River Radio Ministries, however President Dan Baughman will be CEO and sole director of the new licensee. Del Reynolds has refiled his application to sell the license of 101.5 WMTE-FM Manistee, MI to Mitten Media for $1000. Four R Broadcasting acquires the CP for 95.9 in Christoval, TX from Charles Crawford for $60,000. The new station will become the third in a San Angelo cluster that includes Country “Lonestar 92.9” KDCD and CHR 106.1 KMDX. St. Joseph’s Catholic School sells the CP for 90.5 in Gray Court, SC to The Power Foundation for $100,000. Atlantic Coast Radio is purchasing 100.5 W263BZ Portland, ME from Light of Life Ministries for $80,000 and an option to lease tower space on Atlantic Coast’s Brunswick, ME tower for no charge. W263BZ will rebroadcast News/Talk 1310 WLOB Portland. Bond Broadcasting sells 104.5 W283CA Highland, IL to 104 License, LLC for $240,000. W283CA will rebroadcast Christian “Faith Talk 1010” KXEN St. Louis, whose owner BDJ Radio Enterprises and 104 License are both held by Burt Kaufman. Edgewater Broadcasting sells 103.9 W280EH Columbia, TN to Prospect Communications for $22,000. W280EH holds a CP to move to 103.7 and will rebroadcast AC “105.3 The X” 590 WWLX Lawrenceburg, TN. Family Stations sells 88.1 K201CQ Prescott, AZ and Silent 89.5 W208BU Berwick, PA to Vic Michael’s Cedar Cove Broadcasting for $50,000. Both translators will rebroadcast Cedar Cove’s 88.7 KKWY Douglas, WY. Kevin Terry’s Radio Rancho LLC. purchases 104.7 K284AY Stockton and the CP for 95.7 K239BX Tooele, UT from the University of Utah for $35,000. Both stations will be licensed to rebroadcast Broadway Media Alternative “X96” KXRK Provo.